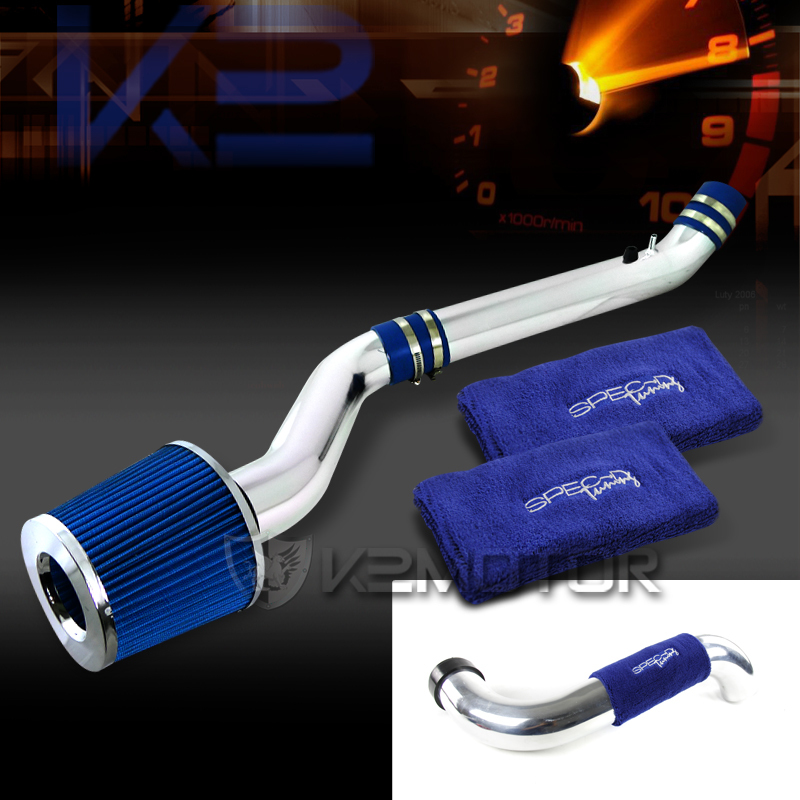 Make your pick from K2 Motor's wide selection of top quality 1996-1998 Honda Civic Blue Filter Cold Air Intake + Blue Short Arm Sock offered to you at the BEST DEALS! Brand New 1996-1998 Honda Civic Blue Filter Cold Air Intake + Blue Short Arm Sock. K2 Motor's cold air intake will help improve air flow to the engine. Our cold air intake system is design to allow maximum and denser air to enter your intake manifold. The result of colder air outside of the engine bay that is denser help improves airflow, quality comparable to OEM intake box. Our cold air intake is estimate to gain 15-20 horsepower for your cars or trucks. It includes all mounting hardware, vacuum hoses and stainless steel air filter (instruction not included). This combo includes Spec-D Tuning's Blue Intake Pipe Sock. These Pipe socks will work with your Intake to prevent unwanted engine heat into your intake piping that can improve the performance of your aftermarket intake. Professional installation recommended.